The Gulf of Naples area is believed to be one of the most breathtaking and eye-catching places of Italy. 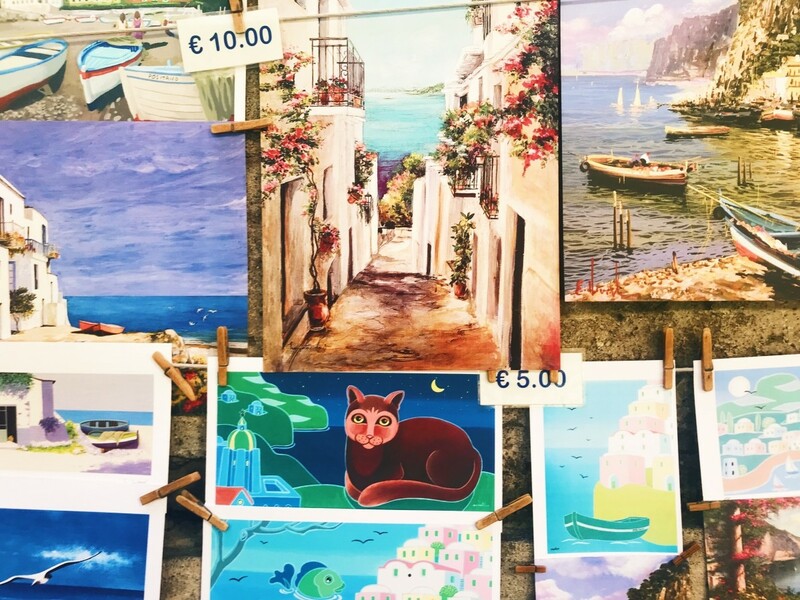 Even though, Naples is a place that evokes mixed emotions, locations like Sorrento or Positano may leave you fully astonished. 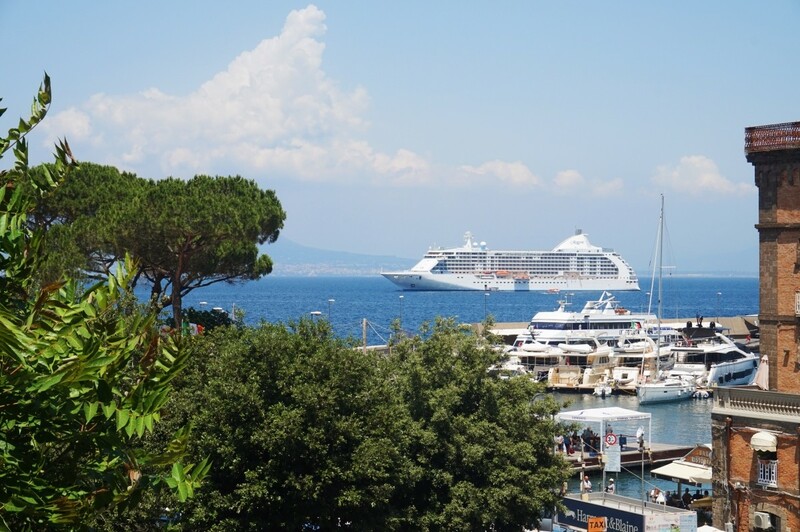 HOW TO GET TO SORRENTO AND POMPEII FROM NAPLES? 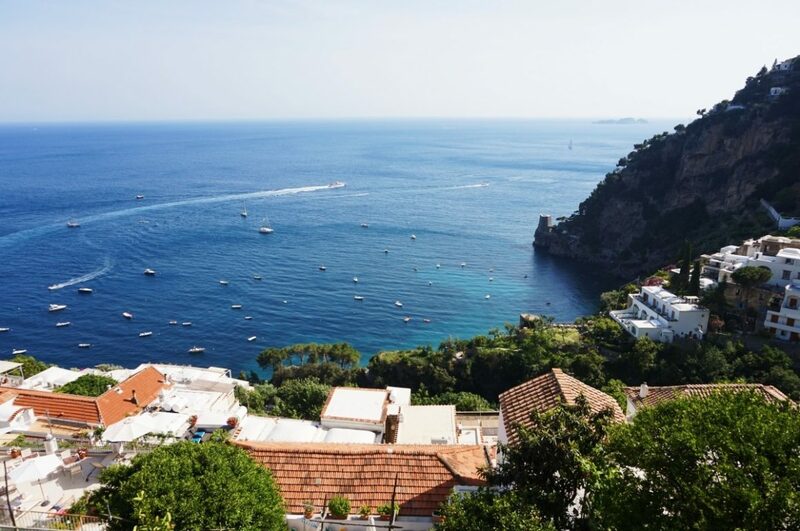 Getting to Peompeii, Sorrento and Positano is as easy as ABC! You just have to keep in mind one name – Circumvesuviana. It is a railway offering direct trips to historic Pompei and scenic Sorrento. It departs from the main station located near the Piazza Garibaldi. How can you get to the right platform? The station is full of signs and by following Circumvesuviana ones you’ll find your right train. 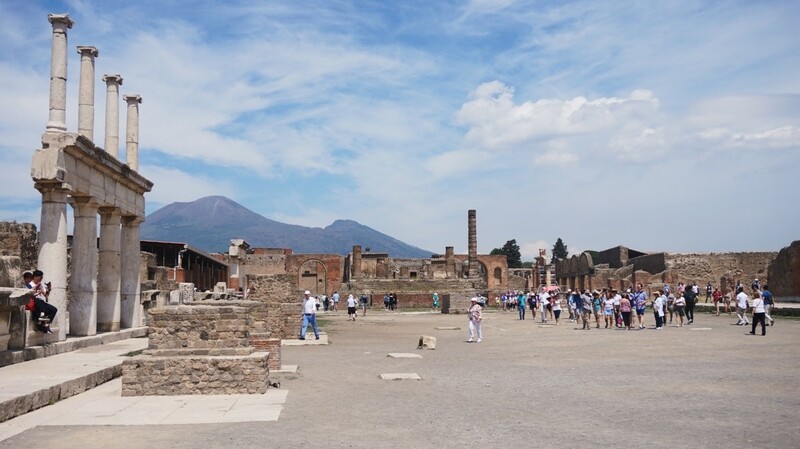 You may buy your ticket there – it costs around 3-4 Euro and the whole ride to Pompei lasts approximately 30-40 minutes (if arriving there, you have to stop at Pompei Scavi), however if you’re commuting to Sorrento your trip will last about an hour and it is the last stop of Circumvesuviana. A full ticket is around 15 Euro, whereas discounted one costs around 9 Euro. Here, you might find some more useful information. It is worth mentioning that visiting Pompei at the first Sunday of the month is completely for free. What is more, the ride itself guarantees some amazing experiences! 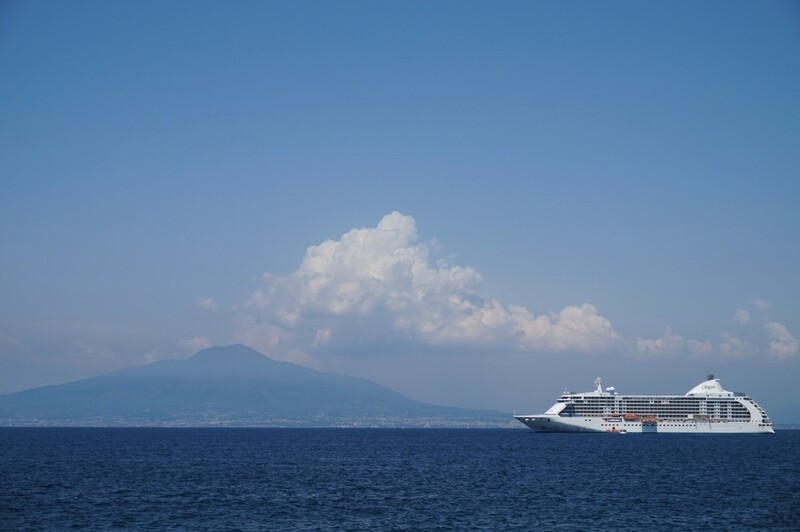 The route crosses whole Vesuvio – believe me that it is worth reading your guidebook earlier as you will prefer to watch some breathtaking views. Moreover, the rail is usually really busy, it’s hard to find a seated place and there is no air conditioning. 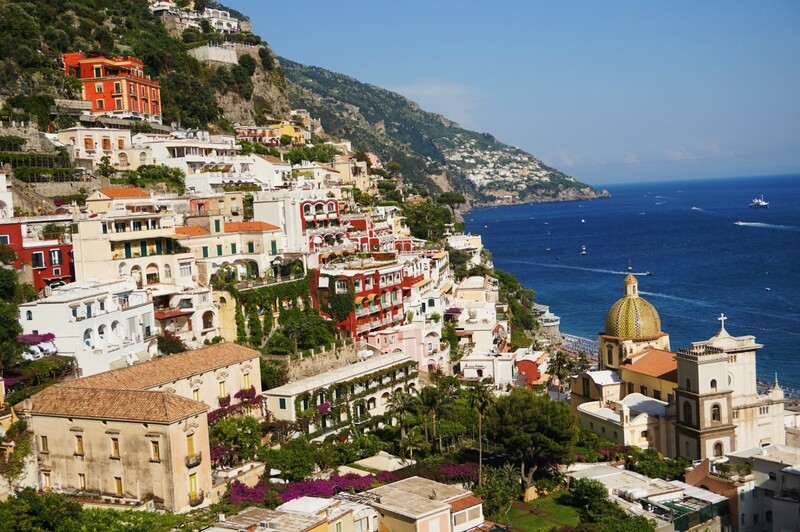 HOW TO GET FROM NAPLES TO POSITANO? 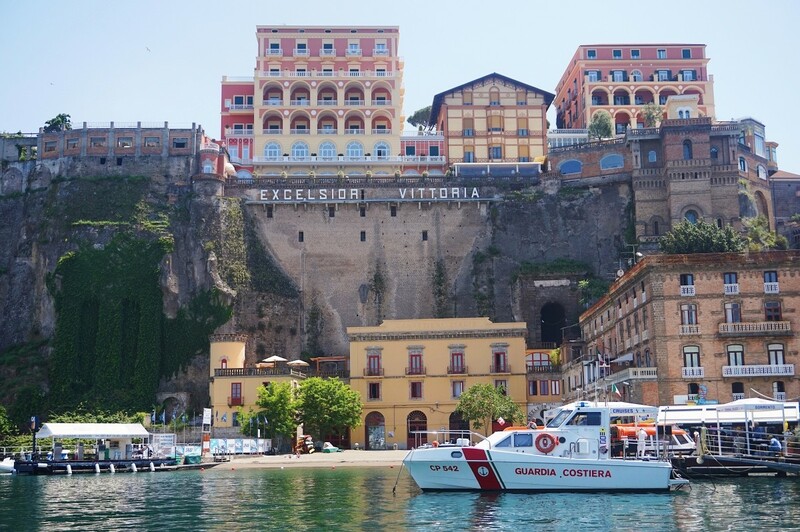 Firstly, you have to get to Sorrento. Right next to the Sorrento Main Station there is a SITA bus station and by taking their buses you will get to both Positano and Amalfia. The best tickets prices are in local kiosks (around 2 Euro), even though you might try buying a ticket from the driver, which is 8 Euro. There is also another option – 24h ticket which costs 10 Euro. Here, you may find detailed timetable of SITA buses. One disadvantage of this communication tool – they are always late. 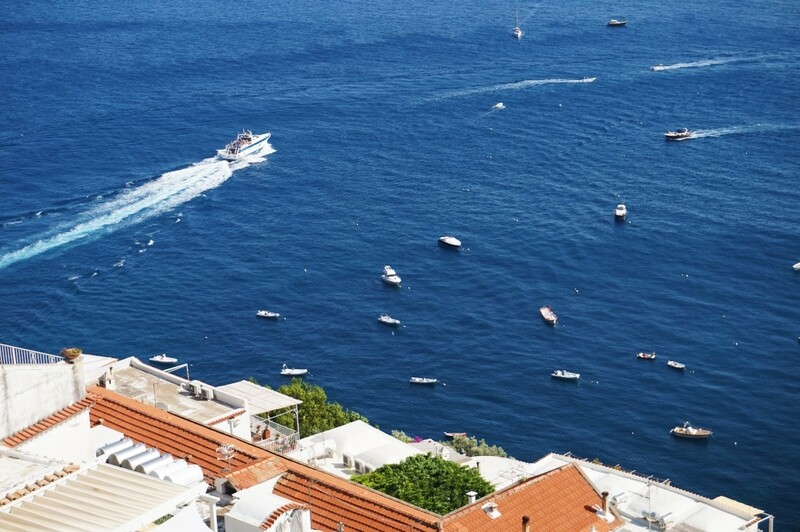 Getting to Positano takes around 40 minutes and what’s the most exciting is the trip itself. Not only it is interesting but also evokes some extreme emotions. There were moments when I forgot about looking through the window, on behalf of taking pictures. What can I tell you? 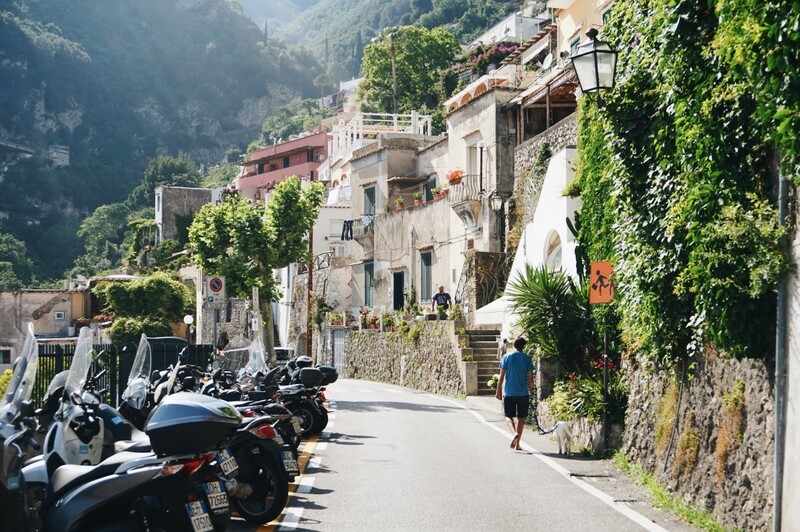 If you enjoy rushed of adrenaline, the trip to Positano is just right for you. The route is very winding and the height does its bit – I can’t even tell you how many times I was close to having a heart attack. But believe me, it was worth it. There no words that I could use to describe what I have seen there. A true essence of beauty. You must experience it one day. 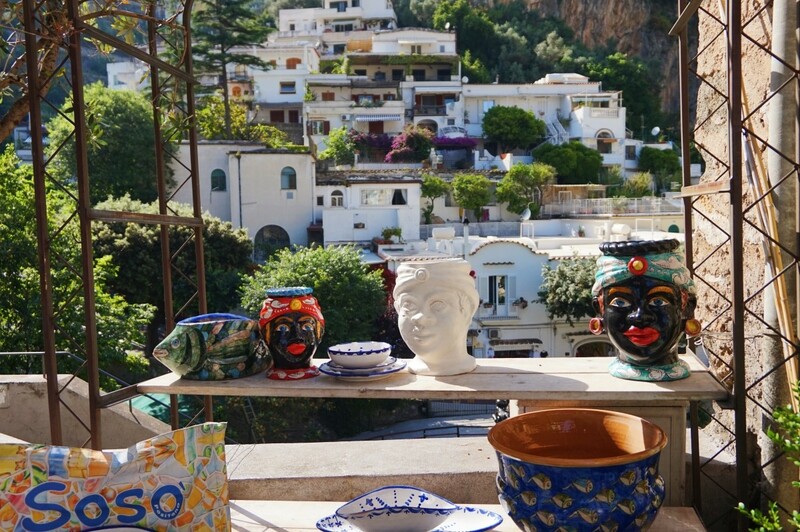 If you were to choose between Sorrento and Positano – believe me and pick the last one. 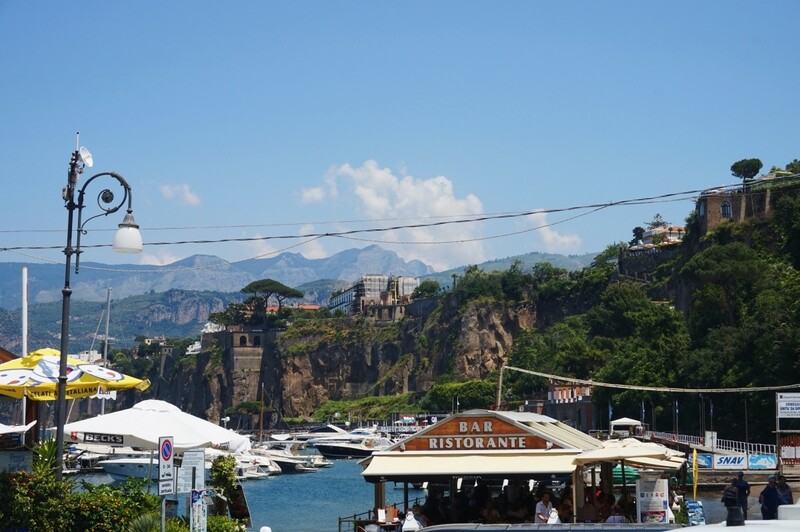 However, during my last trip to Italy I had some time and spent 2 hours in Sorrento. It is a lovely and sweet town, rather crowded by tourists. If you are seeking for some amazing views, you should probably visit the harbor. Moreover, there are manifold old-fashioned little shops in the centre, where you may buy some souvenirs or regional products such as limoncello. It is a delicious lemon liquor that is the Kampania region’s pride. Trust me or not, but you have to believe of those bloggers that describes Positano or presented you with some fancy pictures from this place. There is no other place like this. 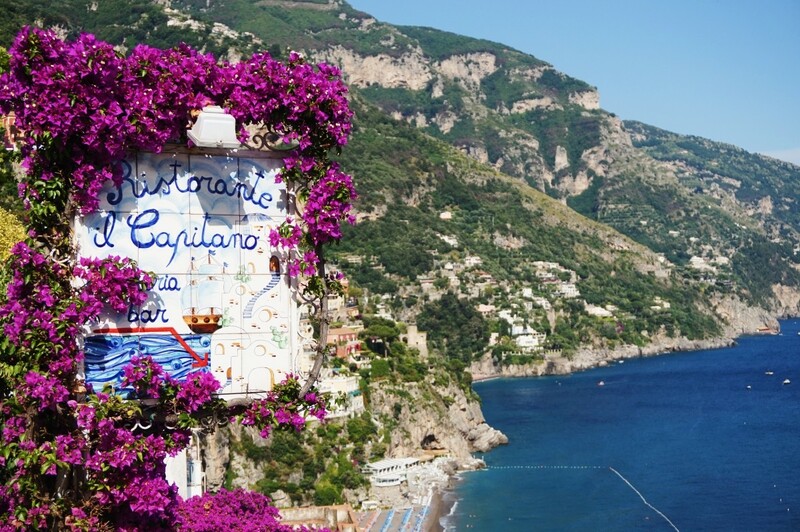 Positano has its own magic and it possesses a soul. While getting to Positano I was both scared to death and excites to my extremes. That was a long, internal fight but the winner was admiration. I couldn’t believe that such a place even exists – the Gulf of Naples, floating yachts, turquoise water and this feeling of tranquility and timelessness. Even tough it is full of tourists, yet they are in no rush, capturing the atmosphere of this amazing place. 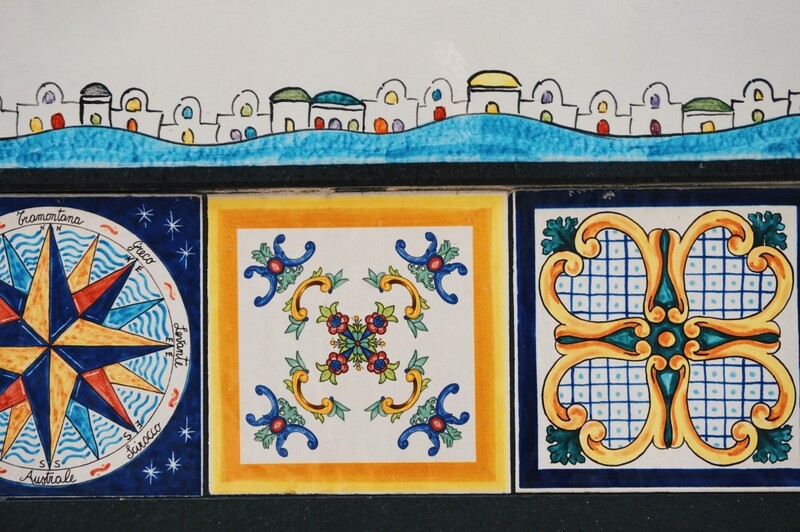 Walking down the small and narrow alleys you may find some beautiful stained-glass windows, pastel building and colorful tiles. This is a serene place of laughter and relaxation. For sure, it is one of my favorite places in the whole world. 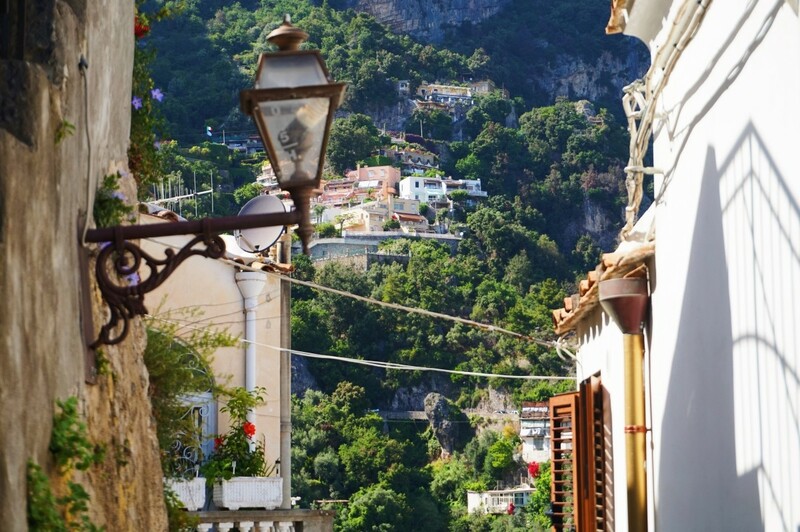 Positano has no city centre – and maybe this is the recipe for its success and this sweet feeling of peace. It is old and ancient, magical and fairytale-like. Basically, all you want to do there is to have a peaceful walk, observe the Gulf and Capri Island, enjoy amazing flora and the sandy beach. Every time I visit Positano I have this feeling that someone has picked some permanent Instagram filter on this place. It is amazing what kind of colors and shades can the nature create. Even though this place is gaining popularity, it still manages to keep its authenticity and originality. What also fascinates me were those small art galleries which are located close to the beach. You may find there some breathtaking art works. 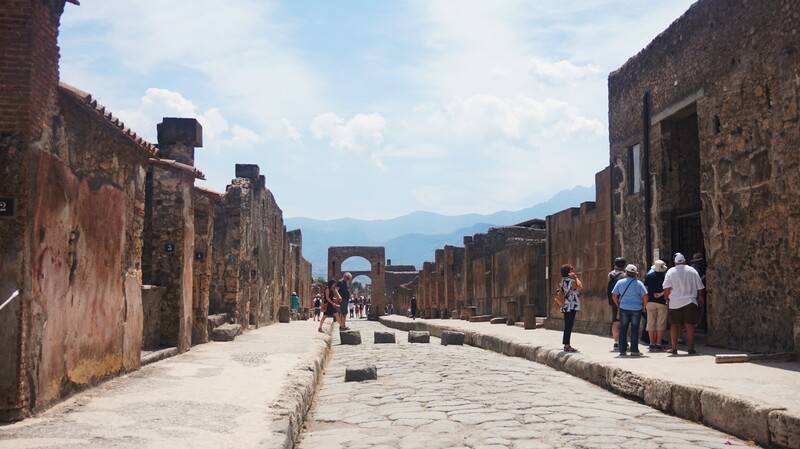 No matter if you’re interested in history or not, Pompeii is one of the places that you should at least once see in your life. It gives you the unforgettable chance to go back in time to the ancient period and literally feel the life of people who lived it. 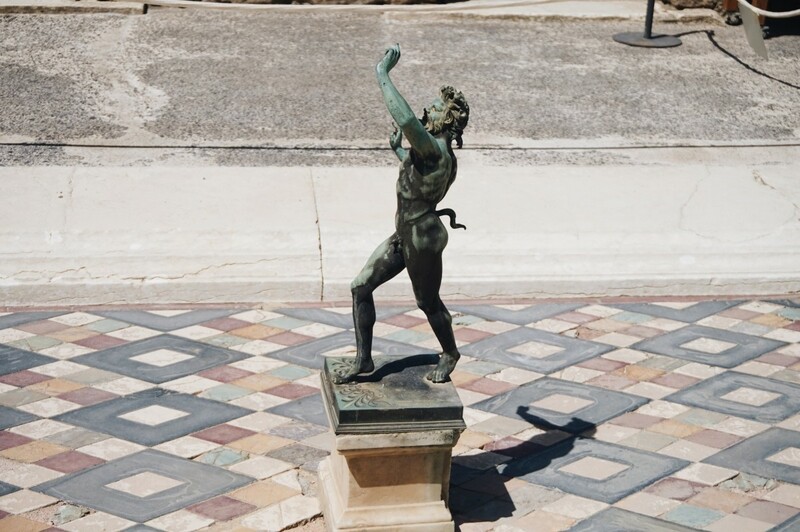 It is all thanks to volcanic dust, which has trapped the community of Pompei in 79 B.C. Vesuvio has imprisoned hundreds of citizens underneath the dust, preserving their bodies and the city. Can you recommend some trips from Naples? Let me know below!